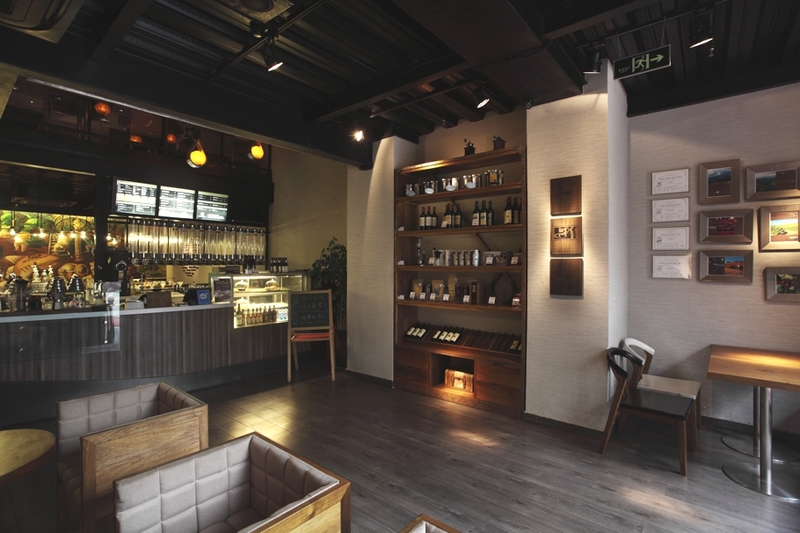 Singapore-based architectural practice, ONG&ONG, has designed the Mocoway Coffee House project. 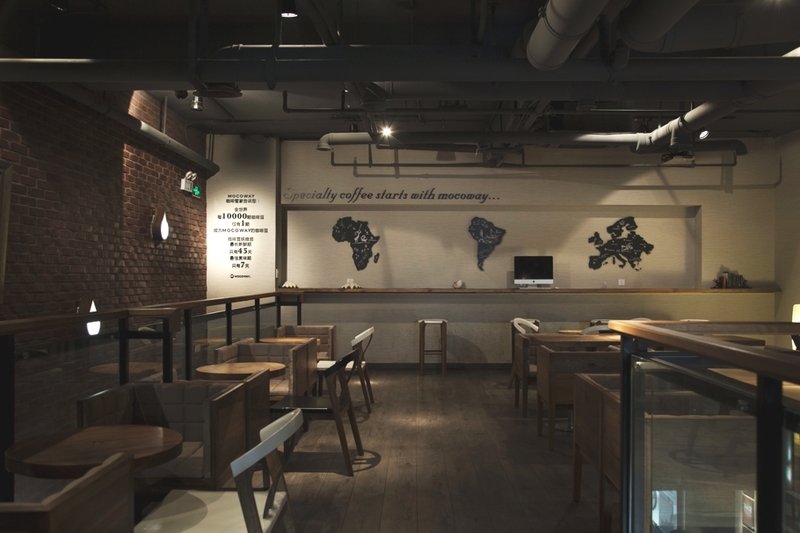 Completed in 2012, the trendy coffee shop is located in Chengdu, Sichuan, China. 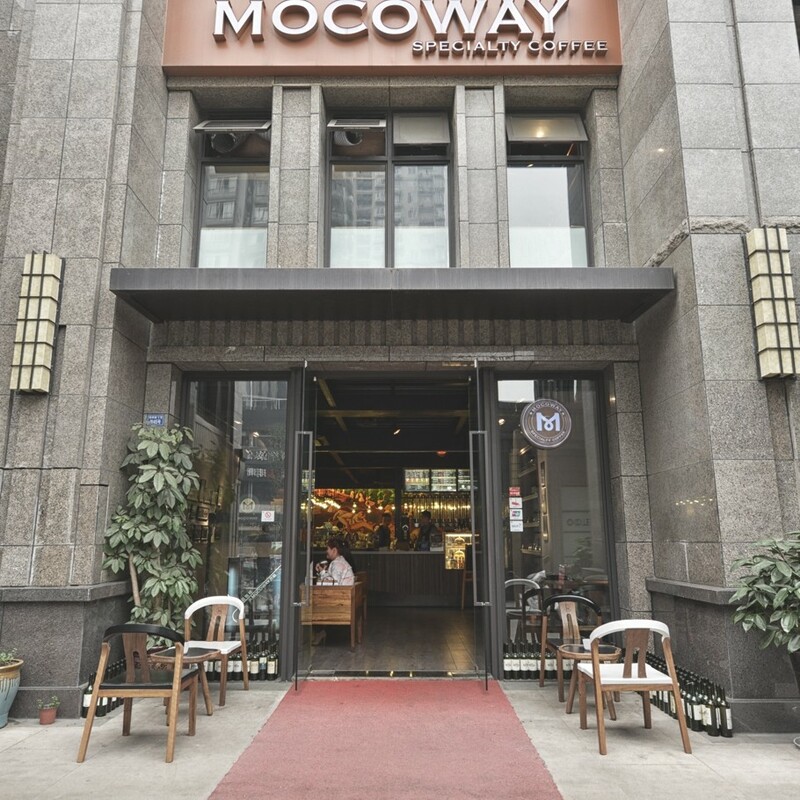 The design concept for the Mocoway cafe was derived from the colour of coffee and the handmade process of brewing coffee. 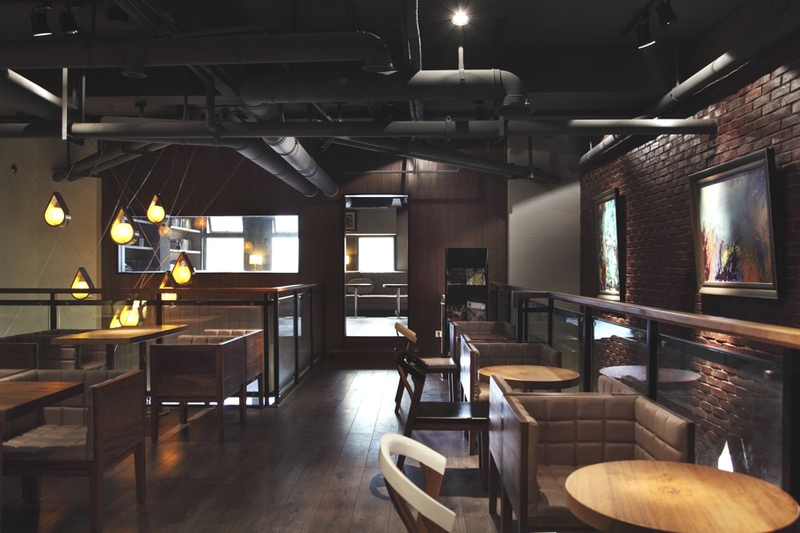 The result is a stylish, relaxing environment that is infused with an atmosphere of authenticity and nature. 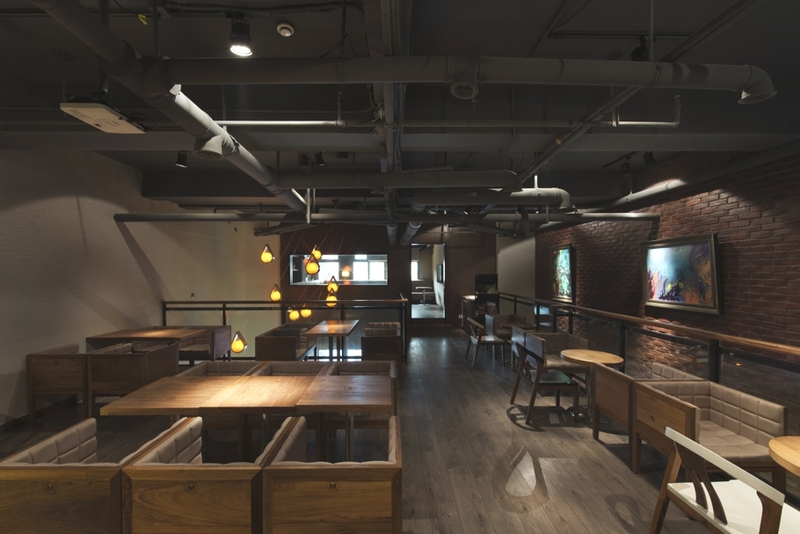 For the design of the ceiling, the designer retained the original architectural structure; crisscrossing pipelines remain exposed, adding a post-industrialist feel to the space while invoking a sense of natural simplicity. 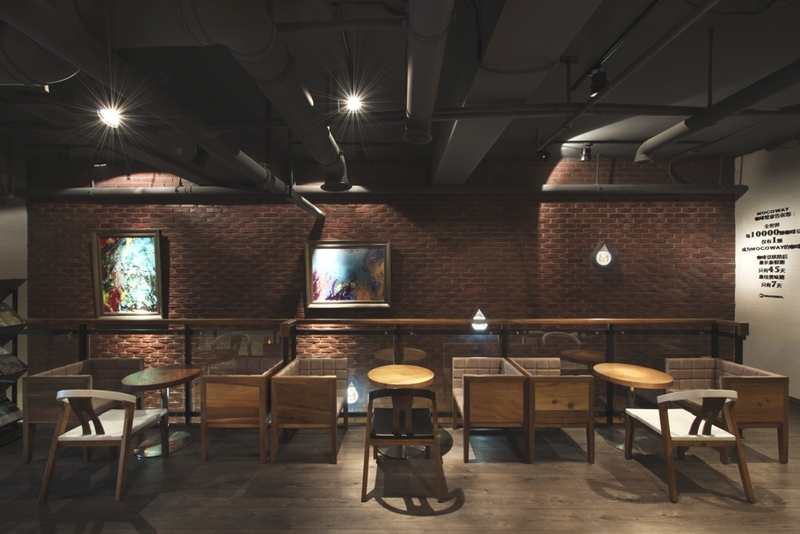 The walls, on the other hand, which are lined entirely with red bricks, add a retro feel to the contemporary café. Suspended in mid-air like an intricate box is the meeting area. 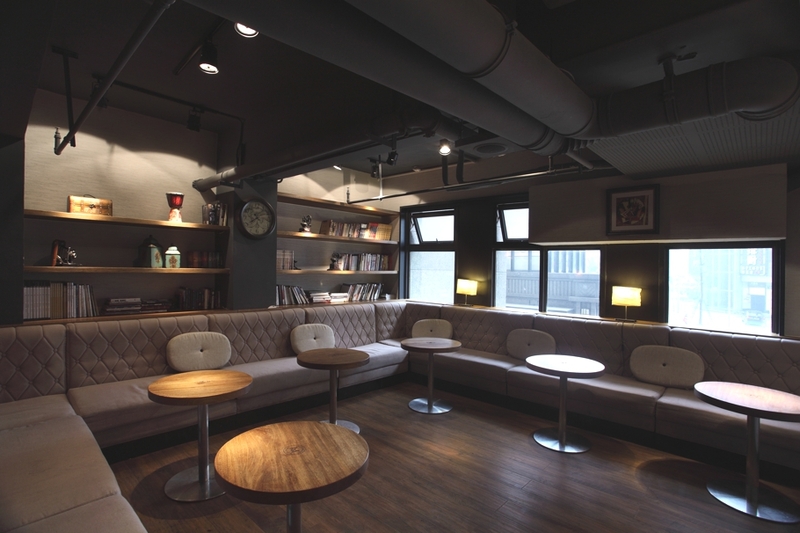 The space is linked to the main common area on the second floor via a connecting bridge. 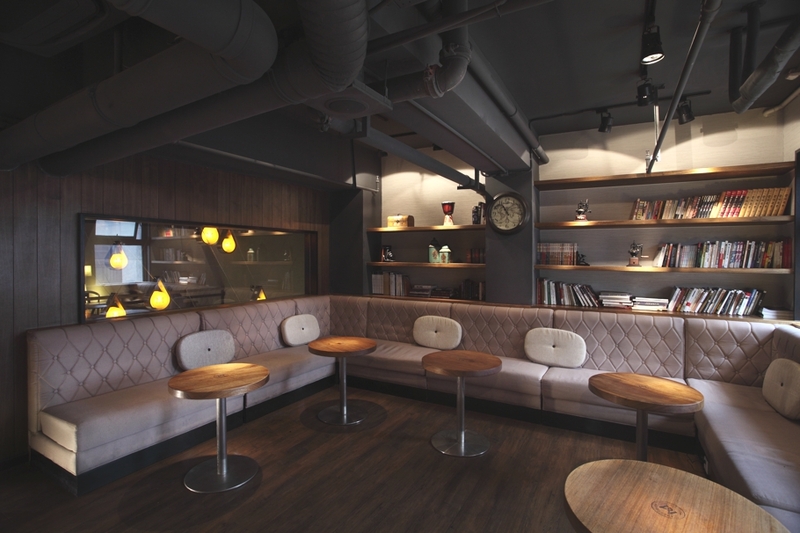 The layout adds an interesting and quirky aspect to the entire design of the café while creating a more private meeting area for customers. 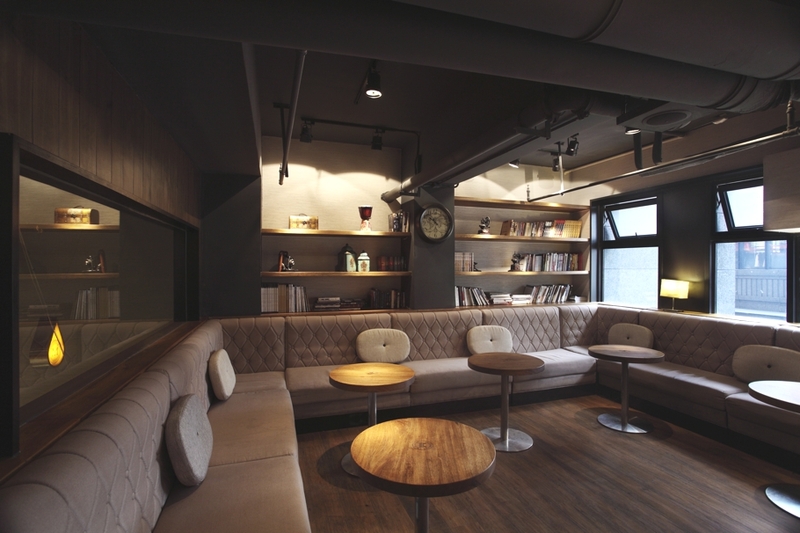 The interior design of the meeting area is meant to invoke warmth and comfort; the hanging wall clock, television, couch and bookshelves lined with books and decorative items all culminate to create a warm and almost domestic setting. 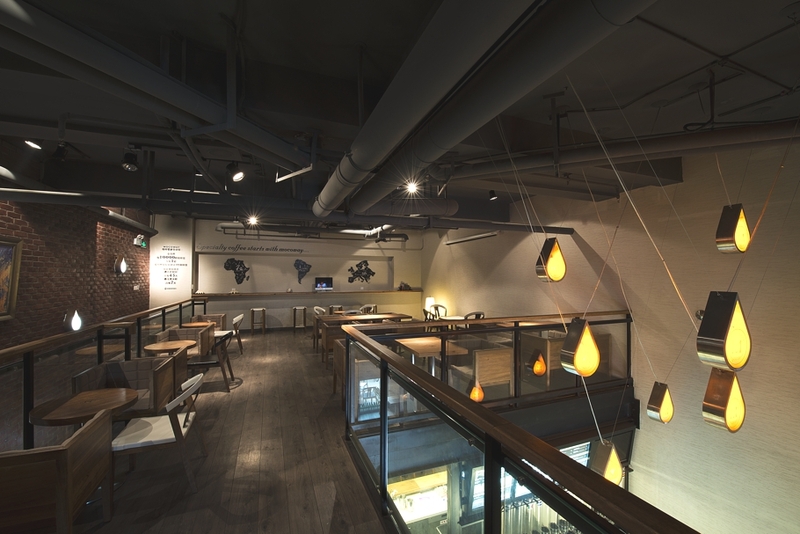 Great care was given in utilizing the unique qualities of natural materials. 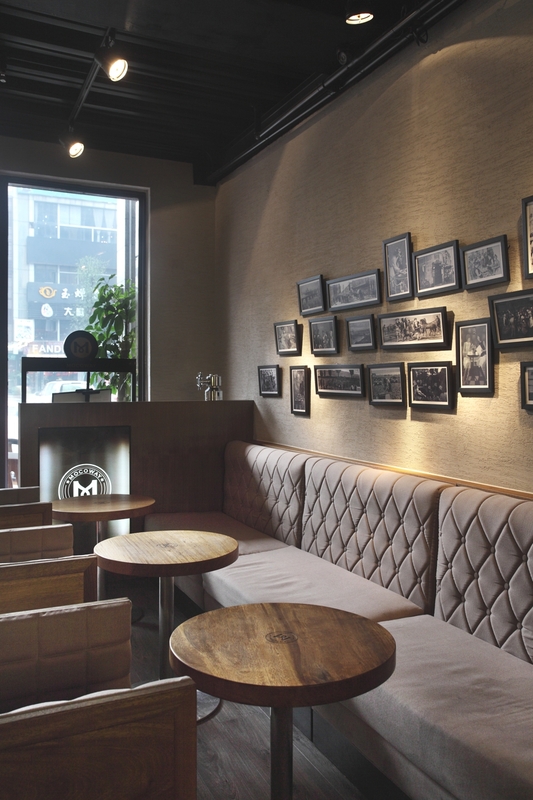 The solid wooden flooring, original wooden tables and chairs, vintage photos on the brick wall – all were deliberately chosen to infuse the space with an atmosphere of warmth. 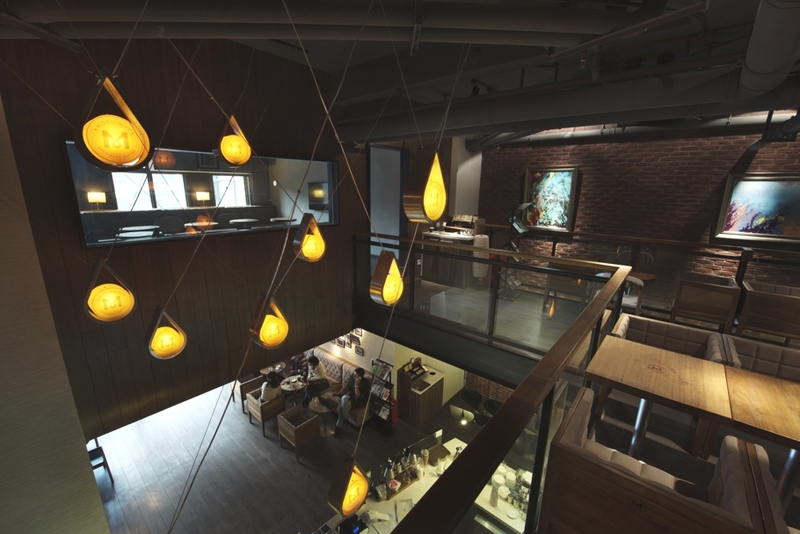 Bright, orange lights in the shape of water drops hang suspended in the air, creating a layer of visual interaction with a dash of modernity and visual dynamism. The staircase heading towards the second floor deviates from the traditional design of staircases. Wooden steps are suspended in mid-air with the use of cables. The space below the steps is paved with white beach pebbles. 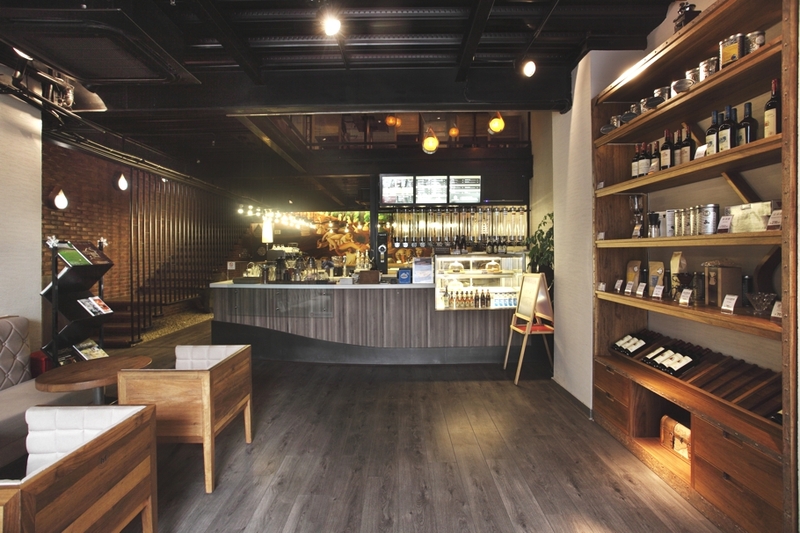 The overall effect is a light-hearted and relaxing space that allows the customer to enjoy a cup of authentic coffee while being immersed in nature and quiet. 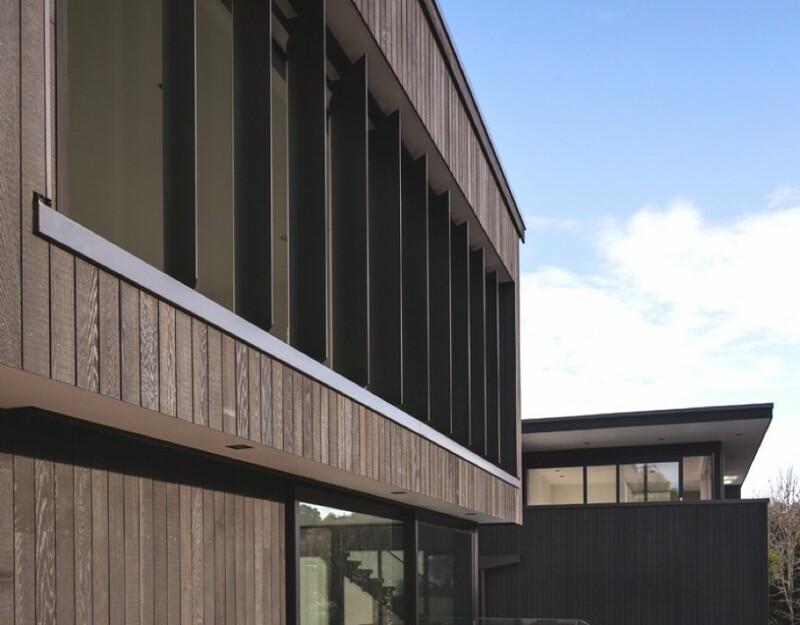 Auckland-based architectural practice Daniel Marshall Architects have completed the Raumati project. Completed in 2012, the stunning property can be found in Remuera, Auckland, New Zealand. 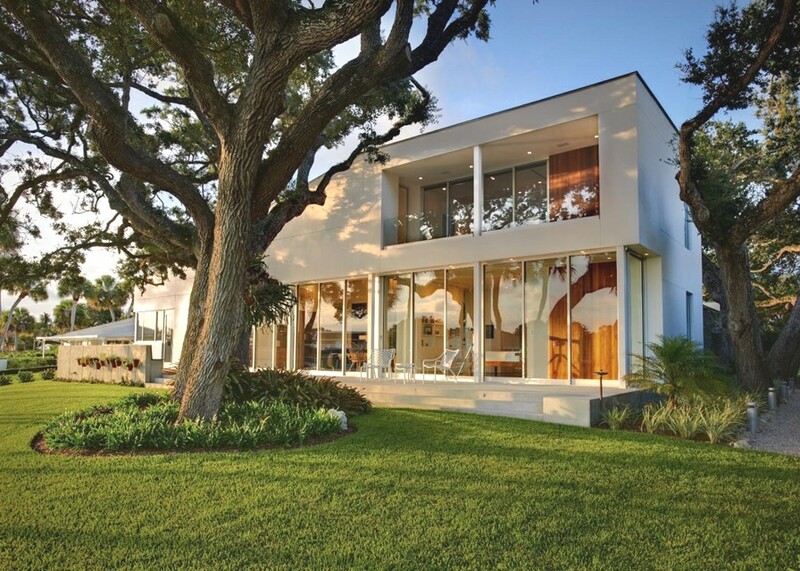 Knoxville-based architectural practice, Sanders Pace, has designed the Barrier Island House project. Completed in 2012, the chic beach home is located in Vero Beach, Florida, US.